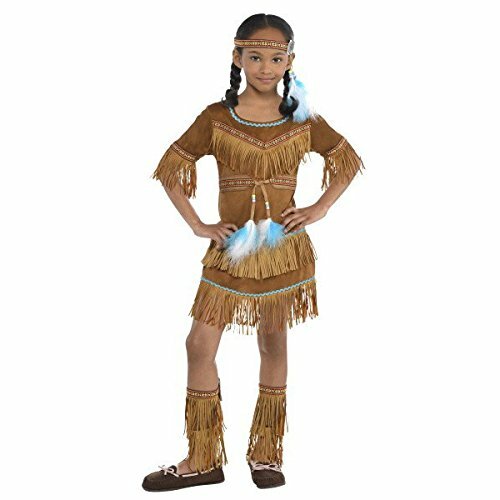 Your girl can learn about the Native Americans who lived here before European settlers arrived and wear the Princess Wildflower Costume for Child. 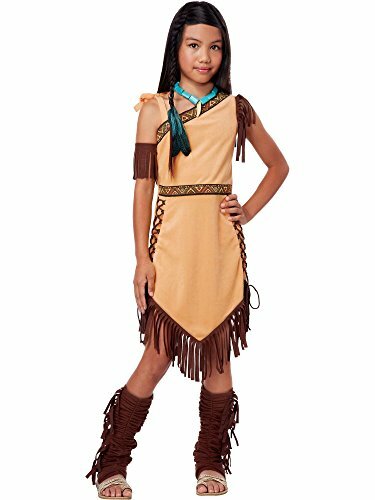 This costume features a dress and poncho designed to look like they are made from animal hide. Fringe trim also lines the edges of the entire outfit. 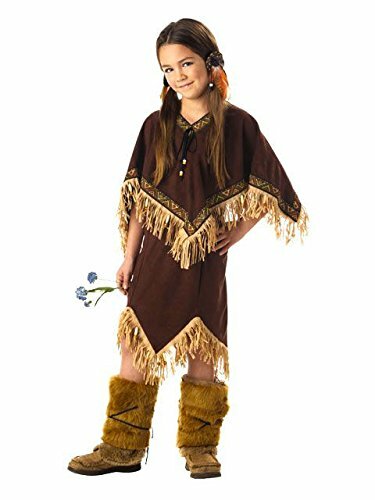 Hair accessories and boot covers are also features of this fabulous order. 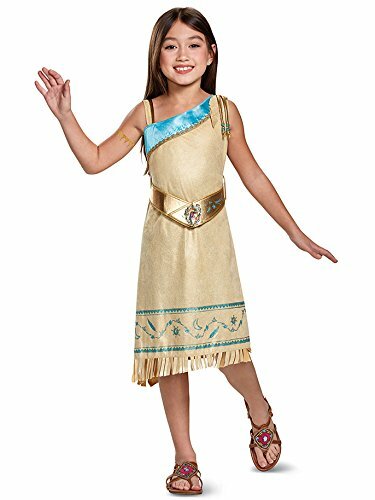 Pocahontas/Native American Girl Halloween Tutorial + DIY Fringe Top!